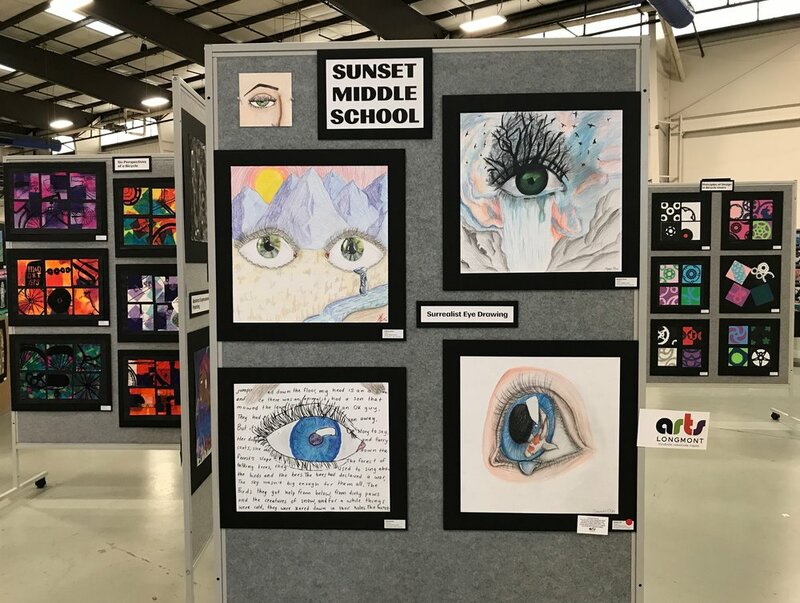 Over one hundred Sunset Middle School student artists in grades sixth, seventh, and eighth are represented each year at the St. Vrain Valley School District Art Show held at the Boulder County Fairgrounds. Many students are recognized with art awards from district teachers, administrators, and the community. This year, five students were selected by Arts Longmont to have their work displayed in downtown businesses for two weeks in May, and will be featured during the 2nd Friday Art Walk. 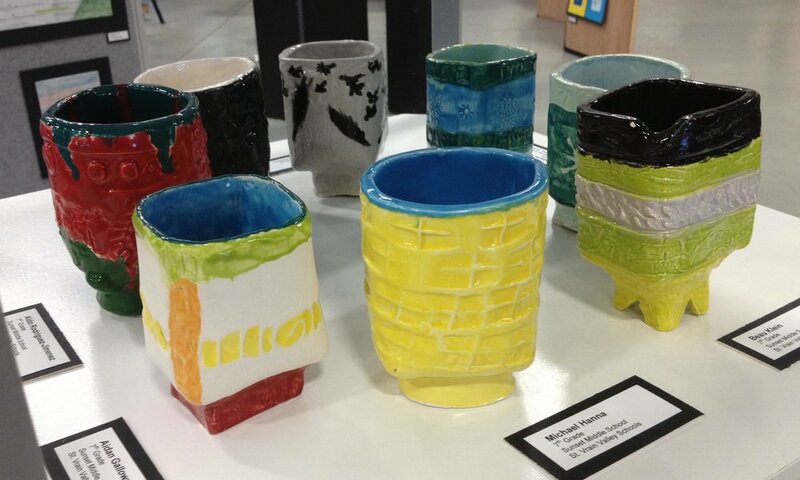 The 4th grade students worked collaboratively to make clay bowls to donate to the Empty Bowls Event in Fort Collins. Working to increase awareness of hunger, Empty Bowls is a major fundraiser for the Food Bank for Larimer County. 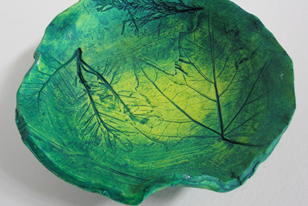 The event offers guests the opportunity to select a pottery bowl made by students in the Poudre School District and enjoy signature soups provided by area restaurants. I was so excited for the opportunity to have my students’ work on display at Whole Foods Market for the month of January. 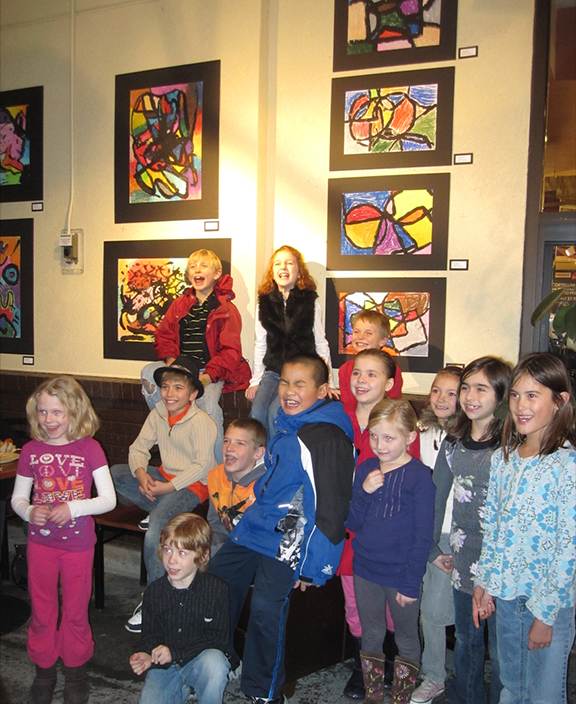 This Johnson Elementary School solo exhibit helped support our school through money raised by the Bag Donation Program. Approximately 20 families attended the reception, in which Whole Foods provided delicious healthy snacks and fun for the kids. For my Masters degree in Art and Design, I researched sustainable and environmental art. 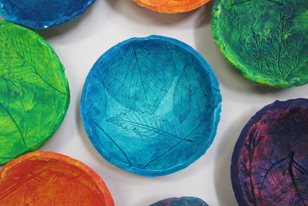 I developed curriculum that integrated visual arts with environmental education and the local community. Guest speakers and participants included my former Colorado State University drawing professor, a Fort Collins based environmental artist, and an Anthrozoologist. 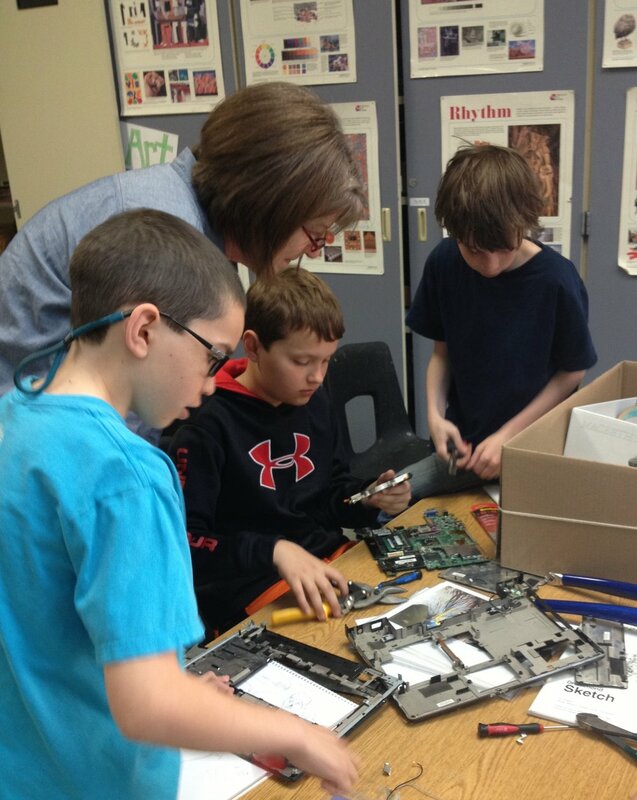 Fifth grade students learned about prairie dogs and how they impact our local ecosystem. Students also gained a new perspective of "trash". 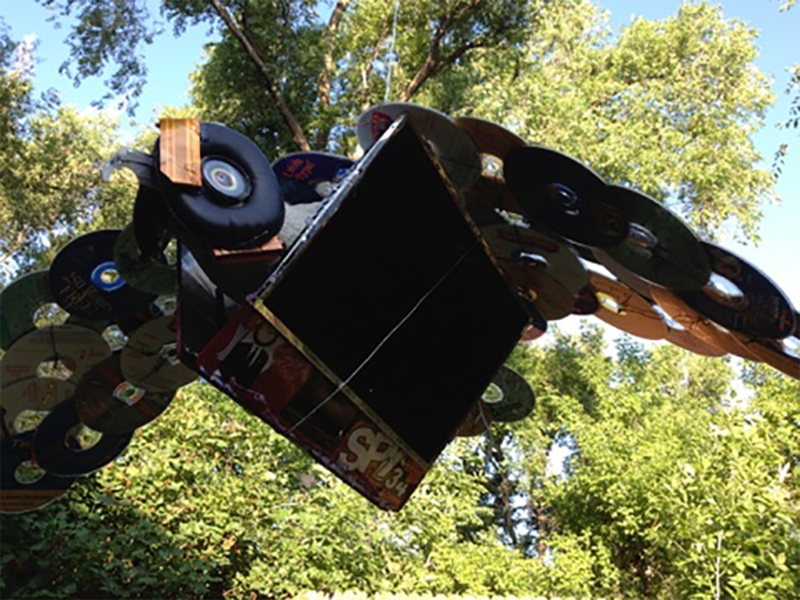 They collaborated to create a variety of animals out of one hundred percent trash. Each animal sculpted represents a vital part of the prairie dog ecosystem.